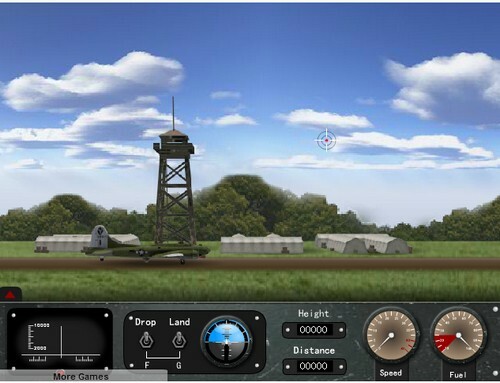 Description You are a bomber driver in this game and you will drive different kinds of bombers flying over enemies’ land and drop bombs, then return. You will get different medals according to your performance. Controls ↑to accelerate, ←→to rise or decline,↓to decelerate, F to drop bomb, G to retract landing gear, H to change direction, Mouse to shoot. You must keep your eyes on the data of the dashboard to make sure you can complete mission successfully.